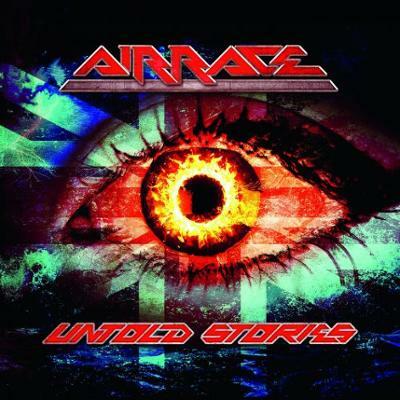 Airrace were formed in Londonduring September 1982 by the then-teenaged guitarist Laurie Mansworth after his decision to quit the New Wave Of British Heavy Metal band More. Airrace were flown to New Yorkto work with the producer of the moment, Beau Hill, on their debut album. Having manned the faders on Ratt’s ‘Out Of The Cellar’, Hill pushed the band into a lighter direction than they would have wished, but ‘Shaft Of Light’ received rave reviews when released in October 1984. Indeed, its combination of breezy melodies and snappy choruses moved journalist Derek Oliver to pronounce in the pages of Kerrang! that anyone who didn’t like Airrace “ought to be shot”. It took a 25th anniversary re-issue of ‘Shaft Of Light’ to reunite the band in 2009. To celebrate the record’s expanded re-release, Mansworth, Murrell, Sadler and Bonham recruited two new members – second guitarist Dean Howard(formerly of T’Pau) and bassist Dave Boyce (ex-Samson, among others) – to hit the road, playing gigs with Thunder, Tesla, Winger and more, in addition to headlining their own shows. When Jason Bonham departed, the occupation of his drum stool by The Outfield’s Simon Dawson brought them vital stability. It was the overwhelmingly positive reaction to an appearance at annual melodic rock all-dayer the Firefest in October 2009 that convinced Airrace to take things more seriously. Describing what the wild scenes of that day, Fireworks magazine proposed the distinct possibility that Airrace were “the best opening band we’ve ever at a Firefest”. 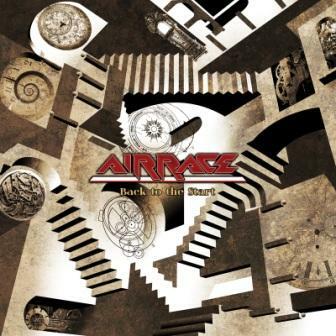 The above grouping can be heard on ‘Back To The Start’, the along-awaited second album from Airrace. Produced by Mansworth, it’s a notch heavier than ‘Shaft Of Light’ yet continues to offer all of the group’s trademarks, including über-memorable hooks and the exquisite singing of Keith Murrell, recently named at #20 in Classic Rock Presents AOR magazine’s list of the Top 40 AOR Vocalists Of All Time.